What is an RMA Adjustment Note? 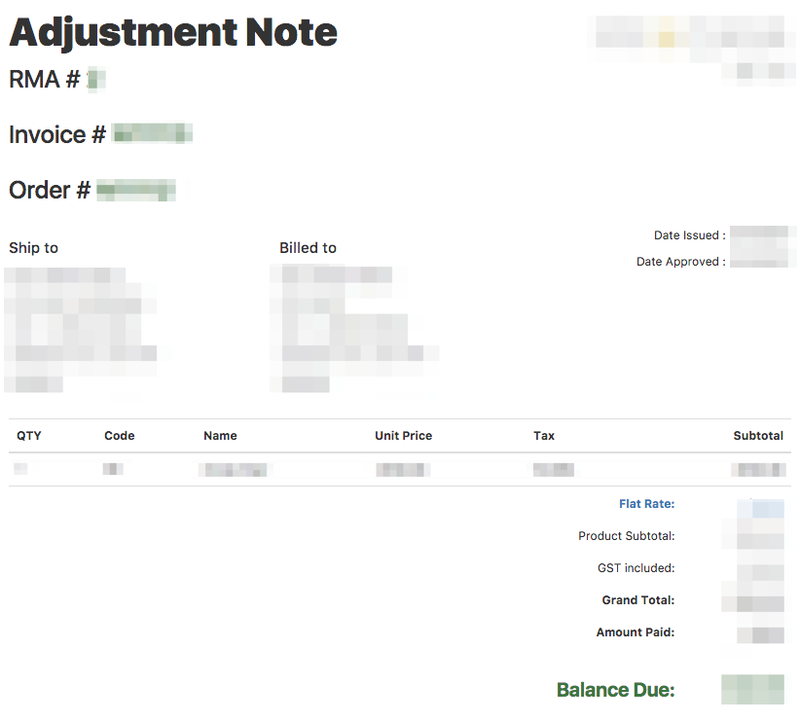 An adjustment note documents everything that happened on an RMA such as the reason, status, outcome, adjustments, credits and any products involved. Navigate to Sales Orders > Returns & Credits. Open the RMA by clicking the ID. At the bottom of the page click Email or Print Adjustment Note. In the bottom right of the next screen click Download PDF or Print. Please note that only closed RMA's can be printed. All RMA Adjustment Notes are stored here on the file server: /private/www/netosuite/SysDoc/printdocs/rma/adjustmentnote.